For the cleanest carpets and a healthy living environment, contact the experts at OCD Home Carpet & Tile Cleaning today. We are a professional carpet cleaning company serving Orange, Villa Park, Yorba Linda, Anaheim Hills, Placentia, Irvine, and surrounding cities. We take the utmost pride in maintaining an exceptional level of service, and that's why thousands of residential and commercial customers have come to trust us to deliver exceptional carpet cleaning services every time. All of our highly trained and experienced technicians are certified by the Institute of Inspection Cleaning and Restoration, which means they use the industry's best practices on every carpet cleaning job. We use the latest carpet cleaning equipment, steam cleaning systems, and advanced technology, including premium quality carpet cleaning products that are eco-friendly, non-toxic, safe for kids and pets, and gentle to those with allergies. Due to our superior workmanship and reliable customer service, OCD Home Carpet & Tile Cleaning has earned an A+ rating with the Better Business Bureau and the winner of the 2017 Angie's List Super Service Award. We also gained a spot on Best of Yelp for 2017. We always take the time to tailor each job to the client's unique needs and carpet type, and make sure all of your cleaning needs are met to above and beyond satisfaction. As a Google Guaranteed Partner, we have passed Google's strict screening process, which includes a background check, license and insurance check, and reviews and ratings screening. Any customer that is not happy with our service can submit a claim to Google for up to $2,000. We use commercial grade, state-of-the-art equipment to give your carpets a deep and thorough wash. Having your carpet cleaned seasonally will have a noticeable impact on anyone suffering from allergies as it eliminates the microorganisms that affect the quality of air in your home. 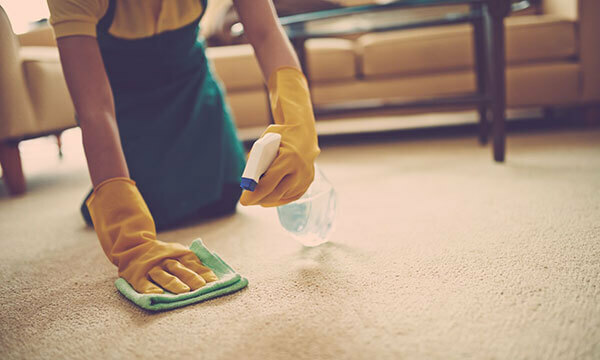 While some people may opt to clean their carpets on their own, it is wiser to simply hire the professional carpet cleaners at OCD Home Carpet & Tile Cleaning. When you clean your carpet on your own, there is a high chance that mold and mildew may invade your space due to oversaturation. 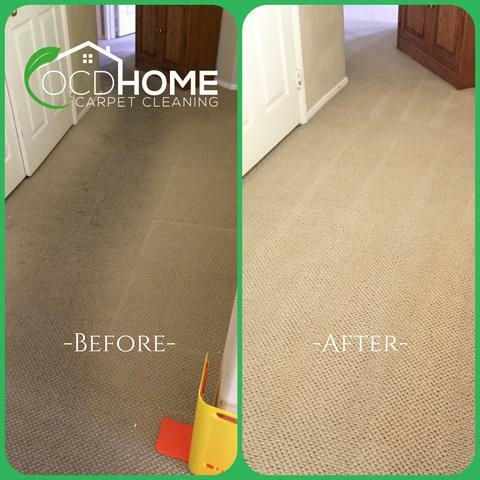 To combat this, OCD Home Carpet & Tile Cleaning uses the industry's leading practices to ensure that all the moisture from your carpet is correctly extracted while maintaining its quality. 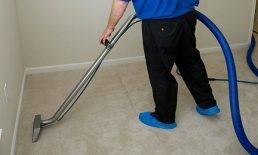 Our proprietary carpet cleaning techniques are the best in the business. We always make sure to remove all dirt, bacteria, dander, mold, mildew, and germs from your carpet, leaving your home healthier for you and your family. 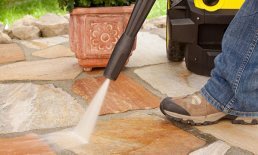 By using the latest stain removal and drying techniques, OCD Home Carpet & Tile Cleaning will have your carpet dry in approximately 2-6 hours, versus the 8 to even 24 hours it takes other carpet cleaning companies for the same type of job. When we are done cleaning, you can rest assured that your carpet will be fluffy, sanitized, dry, and completely free of bacteria, dust, mold, mildew, and other contaminants. Whether you need to clean carpets for a single family home in Lake Forest, a 3-story office building in Irvine, or a multi-acre estate in Tustin Ranch, we have the skills, expertise, and industry knowledge to get the job done on time, in budget, and to the highest standards of excellence. On average, we recommend cleaning your carpets professionally every 6 to 18 months. Maintaining your carpet with regular professional deep cleaning extends the life of each fiber, leaving it feeling and looking fresh and new. We use a Green Seal protectant that is completely eco-friendly and acts as a umbrella-like layer on the fibers of your carpet that prevents spills from becoming stubborn stains. It also allows for easier extraction during routine maintenance. Give us a call today to receive a free phone estimate. We offer honest assessments on all of our carpet cleaning services in Anaheim Hills, Tustin Ranch, Irvine, Villa Park, Orange, Foothill Ranch, and nearby cities. We provide transparent, flat-rate pricing, that is always fair and affordable. Jordan was the BEST!! Our carpet was in pretty bad shape, in fact, my wife suggested we should replace it. After Jordan cleaned it, I kid you not, the carpet looks like new! He was VERY careful in protecting walls and furniture and went the extra mile to make sure we were happy. I have had many carpet cleaning companies in the past, but NONE did as good a job or were more professional. I HIGHLY recommend you stop shopping around and give OCD Home a call. Their pricing is awesome and you will LOVE the results!!!!! We provided deep carpet cleaning for this Aliso Viejo home. Our IICRC-certified technicians restored it to its original beauty by using advanced carpet cleaning techniques and the industry's best practices. 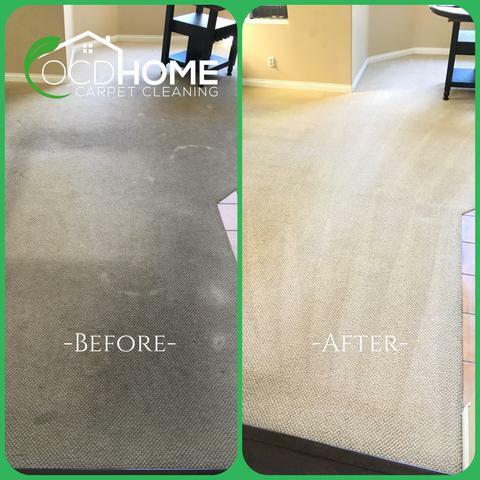 OCD Home Carpet & Tile Cleaning gave this Aliso Viejo home a makeover by steam cleaning all the dirty traffic lanes in their hallway carpets. We used our state-of-the-art steam cleaning equipment to remove impacted dirt and stubborn stains, then sealed it with a Green Seal Carpet Protectant.